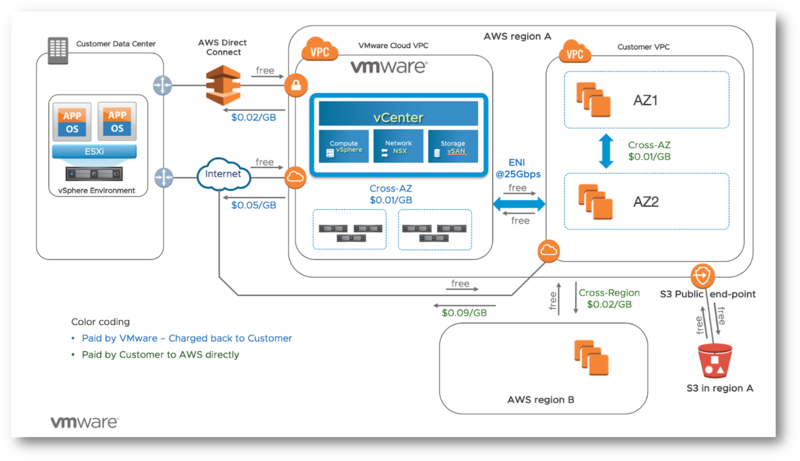 So you went ahead and talked to VMware about running the full stack SDDC in AWS. The on-boarding process is very simple but need a little bit of preparation. 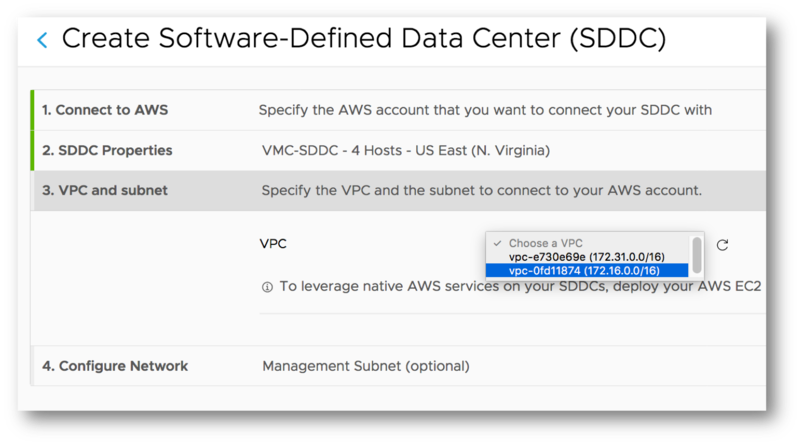 Before we start with VMware Cloud on AWS on-boarding process we need to prepare the AWS environment that will be linked to VMware VPC running the SDDC Stack. 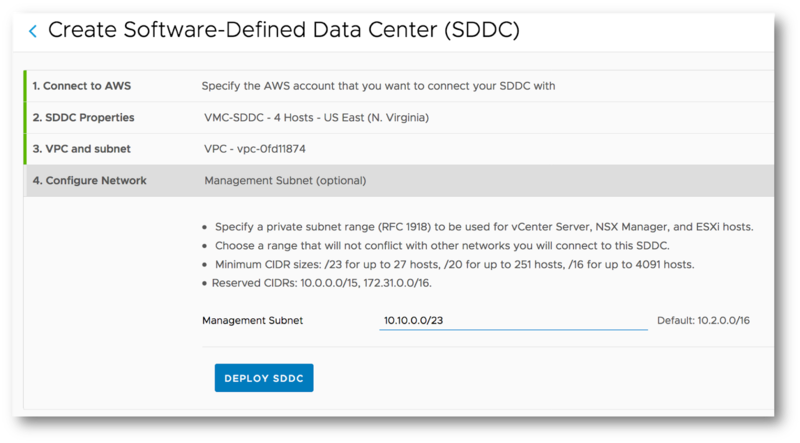 To do that, create or use a VPC in the AWS region where you are going to deploy your SDDC. 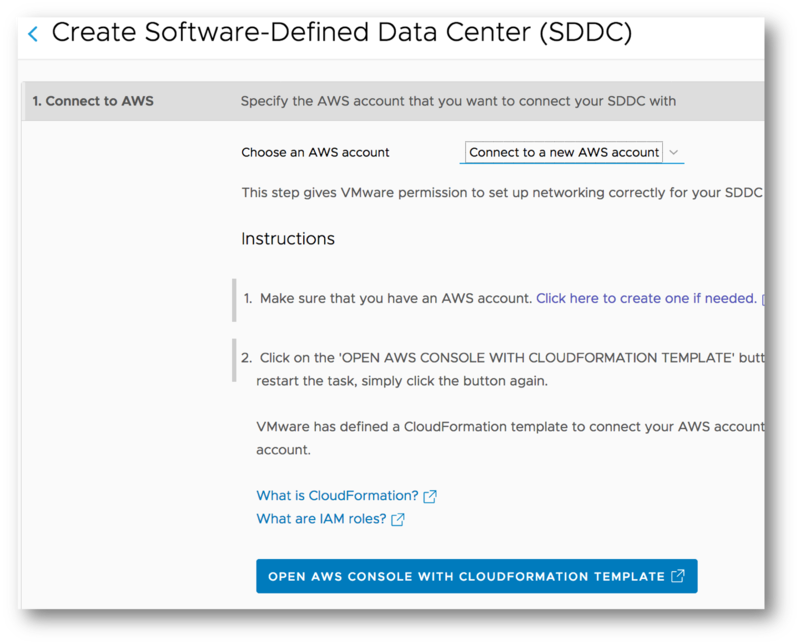 This step gives VMware permission to set up networking correctly for your SDDC on your AWS infrastructure using cross-account rules. 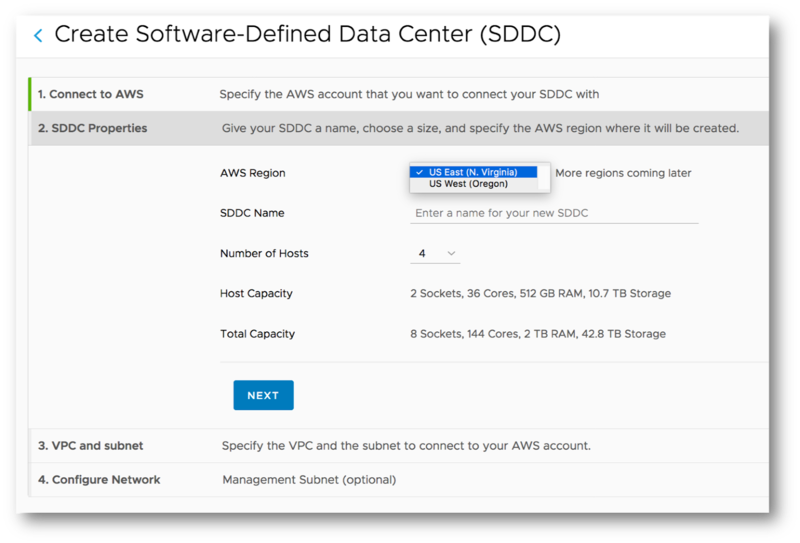 Choose the AWS region you want to deploy to and give a name to your SDDC. 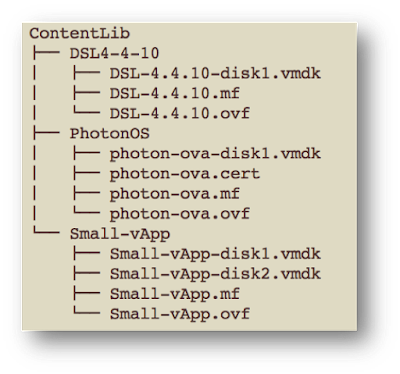 Choose the number of hosts in your Cluster. Today min number is 4 hosts. this will change in future releases. 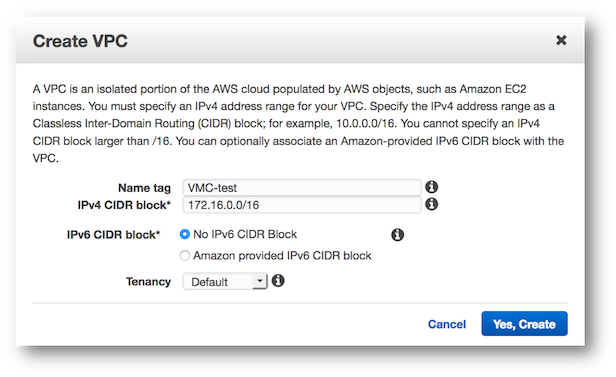 IP range for the management Network can not be changed once the SDDC is deployed. Make sure you give a mask large enough to accommodate your needs. and after 2 hours . 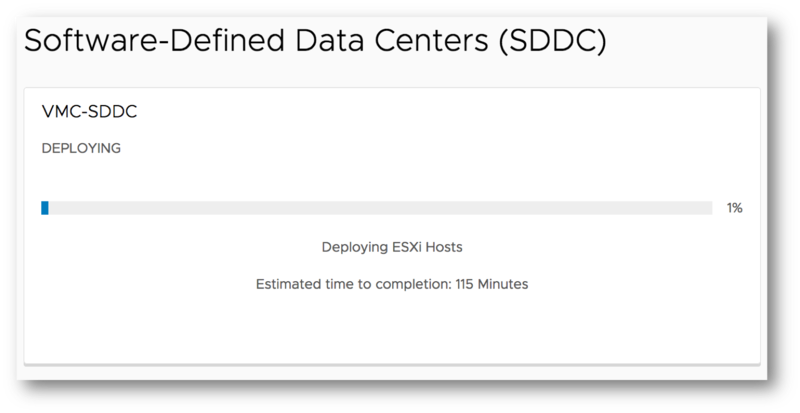 . .
On a freshly deployed SDDC, there are no FW rules in place. Select the Network Tab. Note the dotted lines to the Internet. 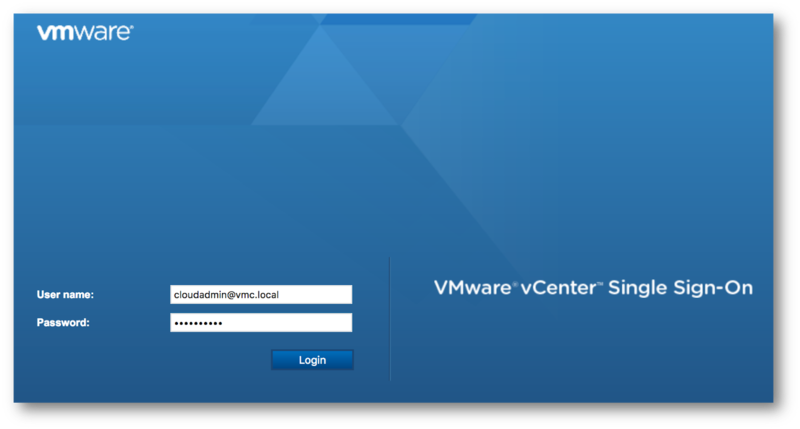 Let's create some basic rules to access the Management part: Allow HTTPS to vCenter. 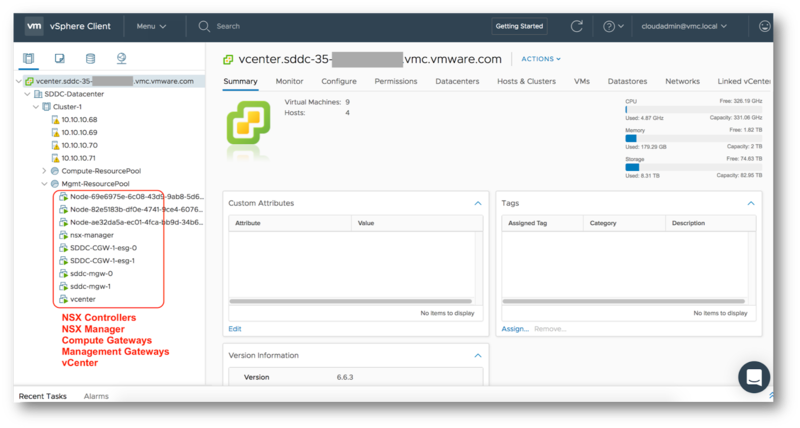 vCenter is now connected to the Internet. Note the blue solid line. Let's open the Compute part to the Internet as well. You may want to limit the port access but for this lab, I will open all ports. Our Compute part is now Internet connected. At this point, we have a working environment. 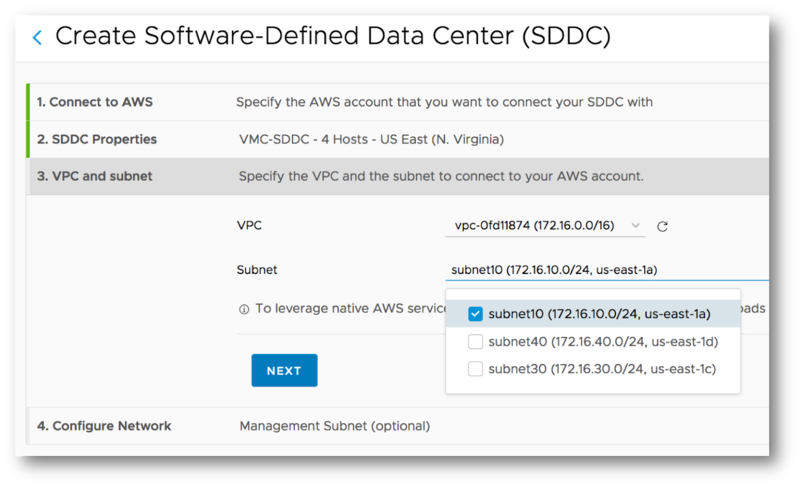 On SDDC screen Select "Connection Info"
Click on vCenter URL and use userID = cloudadmin@vmc.local, password can be seen by clicking on the little eye or copied to the clipboard. 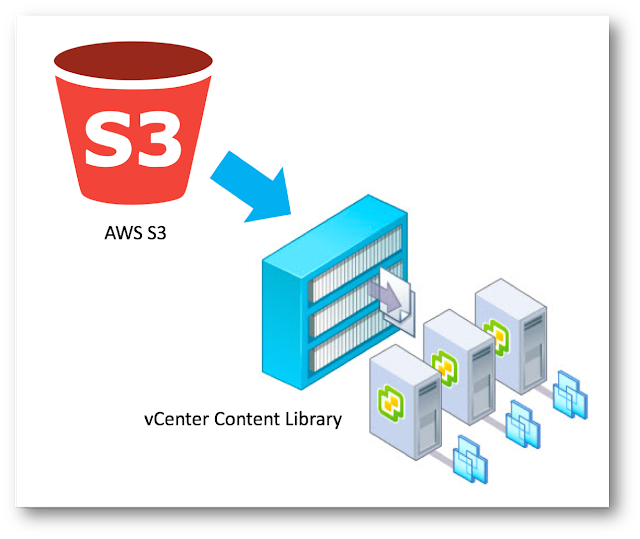 At this stage we can start deploying VMs directly from our PC or eventually from an AWS S3 bucket as described in a previous blog article here.